Home Task Management Google drive file attachment show ‘There is no read permission’. How to fix this? Google drive file attachment show ‘There is no read permission’. How to fix this? 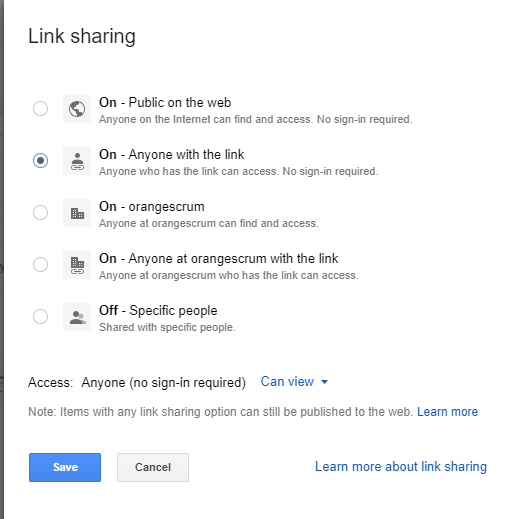 You need to navigate to your google drive and provide ‘Anyone with the link’ permission to the particular files. Please refer to the below image for more clarification. Once done, you would be able to attach the files to Orangescrum.